Spray-painted messages that were an affront to Islam and Muslims covered the walls of a Shia mosque in the Helsinki district of Mellunmäki. 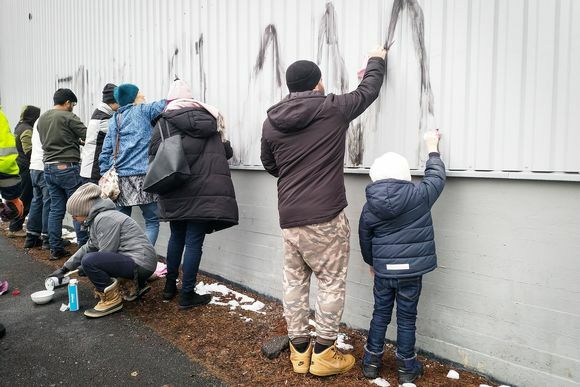 A Shia mosque in the eastern Helsinki district of Mellunmäki was vandalised this week. Hateful remarks about the Islamic religion and its Muslim practitioners were spray-painted onto the walls of the mosque on two separate days. "We hadn't really seen this kind of thing before, but in recent years it has been starting to gain ground. 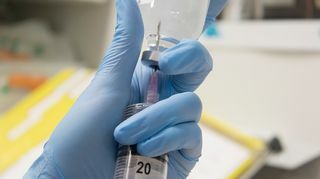 It would be a good idea to think about what is behind this phenomenon, for example, what kind of image the media is also projecting about Islam," says Paula Kemell, board president of Resalat, Finland's largest Shia Muslim community organisation. The mosque in Mellunmäki is one of Finland's largest, with close to 700 square metres of space. Kemell says it is located off the beaten path, which could encourage vandals. "It's not a regular event, but sometimes we have two instances of vandalism in the same week, like this week. Our website has also been hacked, threats are made against us and we are sent death threats. It never ends," Kemell says. "It feels bad. We had a group of schoolchildren come for a visit on Wednesday and the first thing they saw was those kinds of things written on the building." The walls of the mosque were washed clean on Friday as a team effort. Representatives of several different religions volunteered to help with the cleanup. Heidi Rautionmaa, a pastor with the Finnish Evangelical Lutheran Church, was one of the people who participated. "It's about friendship and solidarity. No matter if the attack was directed at a church, mosque, synagogue, temple or other place of worship, as far as I see it, it was directed at the entire religious community," she said. "We are all people, with the same joys and sorrows. Different religions do not separate us." Resalat head Paula Kemell says she hopes that there will be a crackdown in Finland on online hate speech. "Legislation could be passed that would prohibit people from saying anything at all. If we first tacitly accept hate speech, and then accept hate crimes, before you know it, it becomes normalised behavior, which is unfortunate," she says. Kemell says that the Resalat community has few options for mitigating the vandalism. "We don't have the resources to increase our security with, say, a fancy security camera. It seems that no one hears our cries for help."